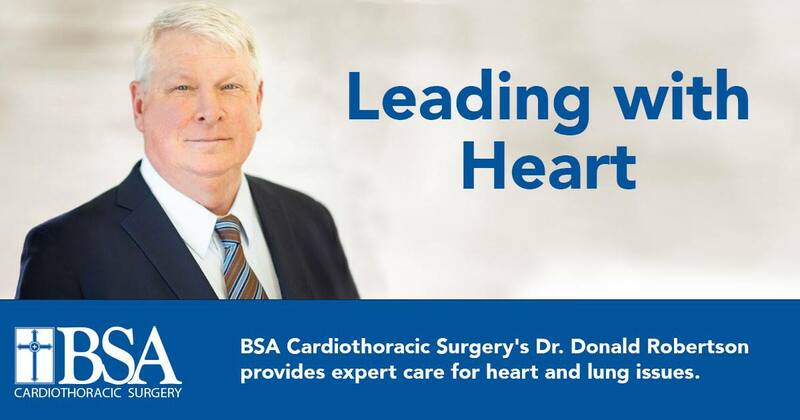 BSA Cardiothoracic Surgery would like to officially welcome Dr. Donald J. Robertson to BSA Health System. 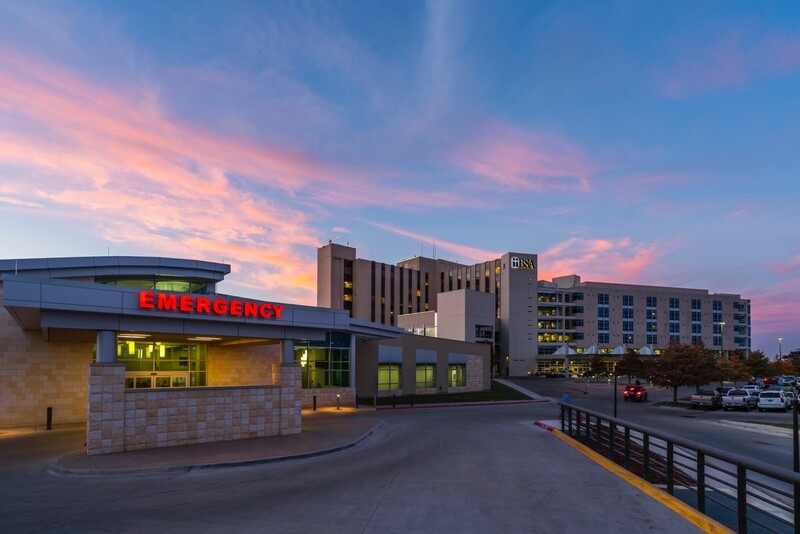 Dr. Robertson completed his medical training at Texas Tech University School of Medicine and his Thoracic Surgery residency at the Baylor College of Medicine. With more than 20 years of experience, Dr. Robertson is providing patients with expert diagnosis and treatment in cardiothoracic surgery. Dr. Robertson’s path to cardiothoracic surgery began with a good book. 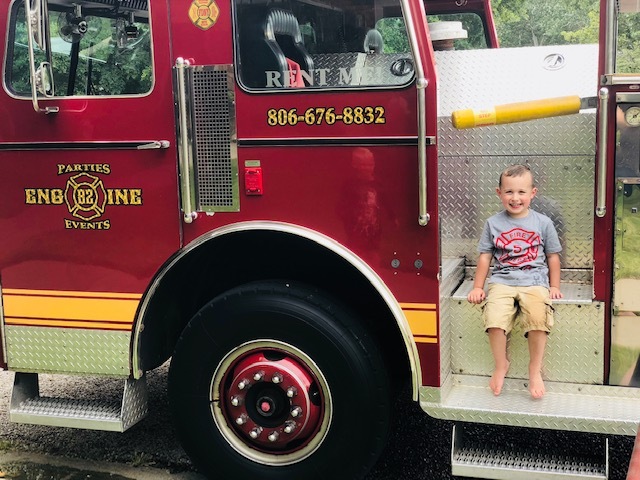 In late summer of 2018, Lindsey Kinard was asleep when she was woken up by her five-year-old son, Laken whose nose was bleeding profusely. Laken’s nosebleeds are usually nothing out of the ordinary for the Kinard family, but this time it was different. To stop the bleeding, the Kinards were instructed to use Afrin, a nasal decongestant spray. Urgent Care Center vs. Emergency Room: What's the Difference? You’re cutting fruit and you accidentally slice your finger. The pain isn’t terrible, but the cut looks deep and is bleeding badly. Do you visit the ER at BSA Hospital or head to BSA’s Urgent Care Center? When urgent medical care is needed, knowing where to go can be a life-saving decision. Paul and Lizette Weinheimer were over-the-moon excited about their second pregnancy. Their five-year-old son, Carson, would officially become a big brother and their family would welcome a new baby boy with open arms. Just 20 weeks into their second pregnancy, the Weinheimers received devastating and heartbreaking news. They learned that their son, Thomas Walker Weinheimer, would not live long after birth. AMARILLO, TX (October 26, 2018) -­‐ BSA Health System is offering free BSA MED+VAN transportation services to voting locations for mobility-­‐disabled citizens in Potter and Randall counties. Transportation services to polling locations are available Monday through Saturday, from 8 a.m. to 6 p.m. now to November 2. To qualify for transportation, voters must be able to sit unassisted in a wheelchair, be registered to vote and have a photo I.D. for voting. 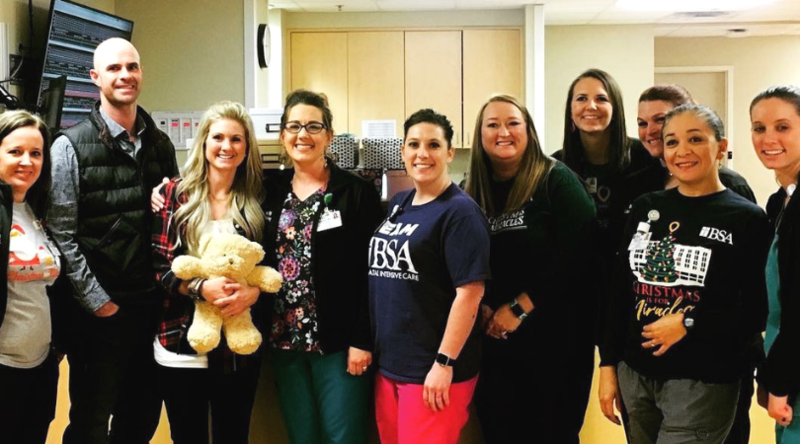 AMARILLO, TX (October 15, 2018)- BSA Hospital has teamed up with Amarillo Surgical Group surgeons to offer the first TransCarotid Artery Revascularization (TCAR) procedure in the region. Dr. 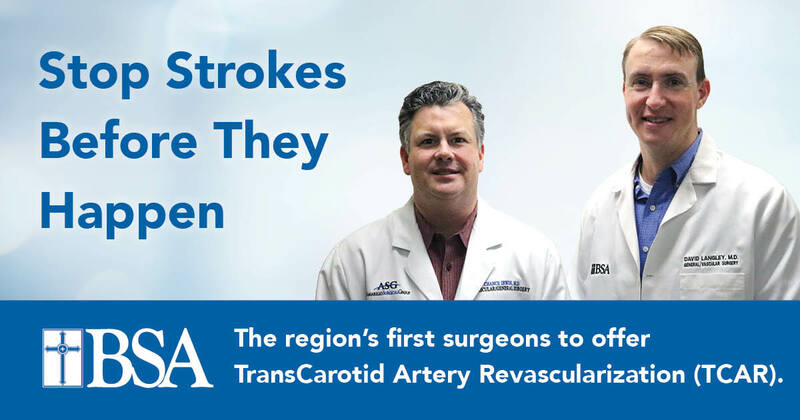 Chance Irwin and Dr. David Langley with Amarillo Surgical Group are the region’s first surgeons to perform TCAR surgeries, offering patients a safer way to reduce their risk of stroke. Both Dr. Irwin and Dr. Langley specialize in general, peripheral and vascular surgeries. 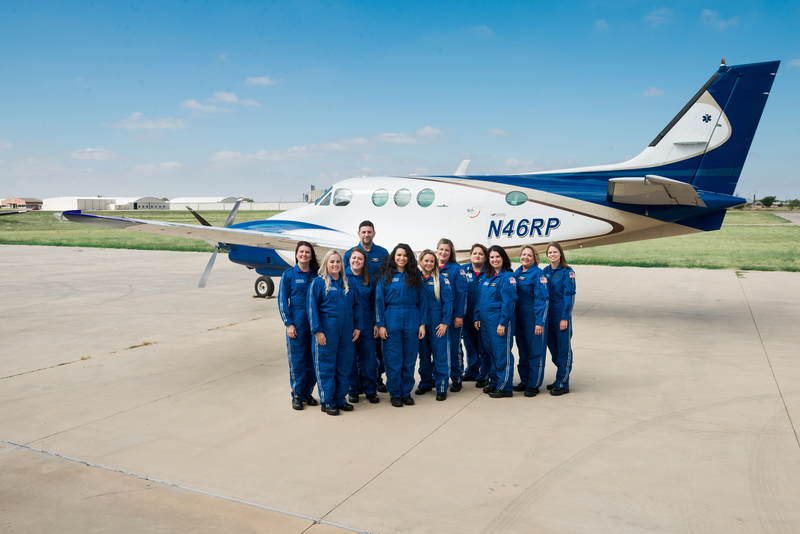 AMARILLO, TEXAS (October 8, 2018) – BSA Hospital is proud to announce the launch of neonatal transportation through Apollo MedFlight, a critical care air ambulance service provided for babies born prematurely who need highly-­‐specialized treatment. BSA began offering neonatal transportation through Apollo MedFlight on September 21. 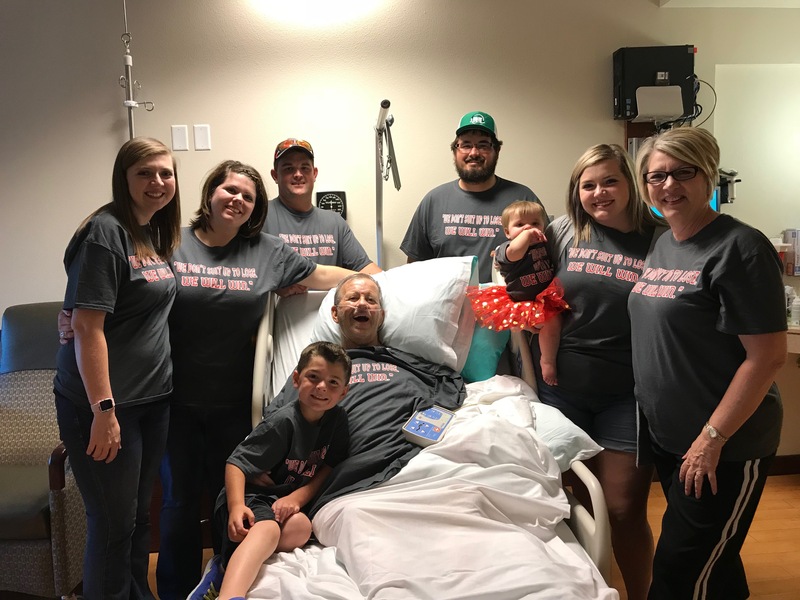 Rob Lackey, 60, had plans to meet his wife and their youngest daughter for lunch on Aug. 12, 2017 in Amarillo when he suddenly felt tired and not himself. Wenonah Martin, a 102-year-old volunteer at BSA Harrington Cancer Center, doesn't let her age slow her down. Each year, she donates hand-made hats for cancer patients to keep their heads warm. 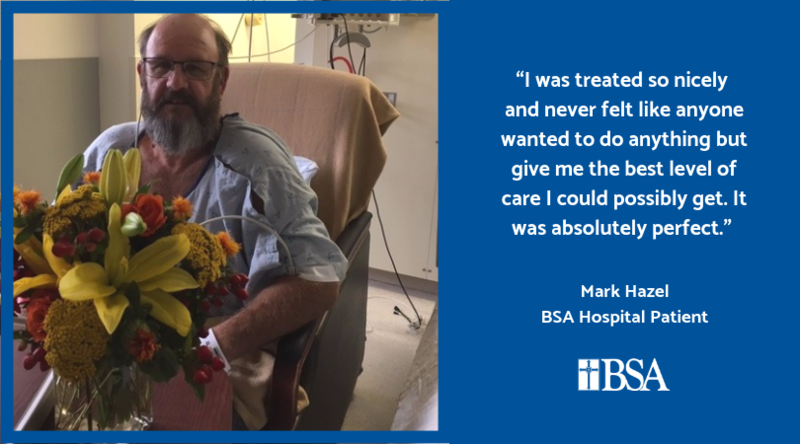 Wenonah first became familiar with BSA Harrington Cancer Center as a patient more than 30 years ago. She defeated cancer when she was 70 years old. Years later, a friend from Wenonah’s church suggested she volunteer at BSA Harrington Cancer Center.